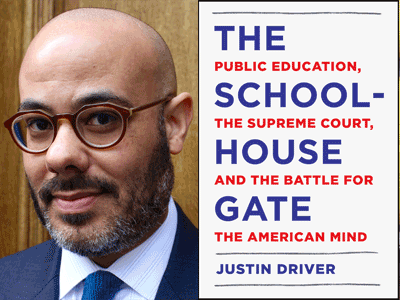 Award-winning constitutional law scholar Justin Driver discusses his engaging work, The Schoolhouse Gate: Public Education, the Supreme Court, and the Battle for the American Mind. Justin will be in conversation with Pratheepan Gulasekaram, Professor of Constitutional Law and Immigration Law at Santa Clara University School of Law. This event is co-sponsored by the American Constitution Society (ACS), the nation’s leading progressive legal organization, with over 200 student and lawyer chapters in almost every state and on most law school campuses.